Previous Post : How is it ‘bad SEO’ to link every page to a site’s homepage? Mobile SEO is the need of the hour, especially with Google calling mobile-friendly websites the future of digital marketing. They’ve put their money where their mouth is too, tweaking their algorithm to favour websites optimised for mobile devices over those that aren’t. Studies suggest that over 58% of internet users prefer using their mobile to browse the web, not a laptop or computer. It’s easy and convenient! And the wave has already begun. It all started back in 2015 with ‘Mobilegeddon’; the mobile-friendly update that Google rolled out back in 2015. The update penalised every website which was not mobile-friendly, known as the ‘Mobile-First Index’. Thus, by favouring the websites optimized for mobile devices, Google once again retained its insane level of dominance over search engines. So, we all agree: Optimising your websites to suit the convenience of your target audience is pretty darn important. Making sure your site is mobile friendly also means optimising your website to suit the preferences of the search engine spiders — a win-win situation for all! 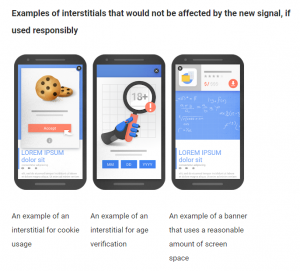 What is Google’s Mobile-First Index? Is Google’s Mobile-First Index Important? Especially if you’re planning to optimise your site for Google. Then you should be fine. However, your site ranking can drop if you fail to optimise your website to comply with the aforementioned criteria. How can you optimise your website for smartphones, tablets, or any other device Elon Musk might invent in the future? It’s not just the website layout that you are allowed to optimise. The mobile version, commonly known as the ‘M.’ version, allows you to optimise your search URL for your smartphone. The website detects your device and directs the URL optimised for that particular device. In the technical community, the majority of us prefer responsive design over dynamic serving or developing a separate M. version. If M. version forces us to create ‘n’ number of links, with dynamic serving, you need to constantly create content for new devices that come out. Otherwise, your website may not recognise your new device! A responsive design however will optimise itself to the device you’re using. You don’t have to create separate URLs or HTML for each device. It’s a lot easier and Google supports responsive websites. So how do you make your website mobile-friendly? 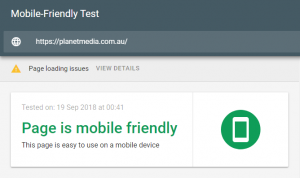 Google’s mobile-friendly test lets you know if mobile users are having trouble viewing your website. All you’ve got to do is enter your site’s URL into the tool, then read the report to find out how your site is working on a smartphone. However, as you can see, the report says that the mobile Googlebot is having trouble loading the entire page. The desktop Googlebot would’ve crawled this easily, and I wouldn’t have known this without Google’s mobile-friendly tool. Google Search Console is a great tool for finding blocked resources. To use it, head over to your GSC page and click on ‘Blocked Resources’ under ‘Google Index’. This will help you to know if you’re blocking Googlebot from scrolling your website. You hate ‘em, we hate ‘em, Google hates ‘em (especially on smartphones.) 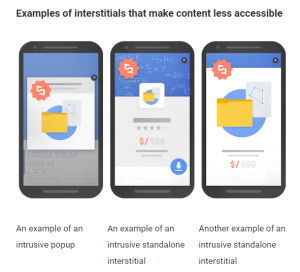 Google is striving to make the mobile browsing experience smooth and hassle-free for its users: imagine how it’s going to look when you hide all your content behind a giant pop-up? In fact, Google specifically mentioned this as a big no-no in one of its updates from 2016. How cool would it be to actually see how Google looks at your page? You can spot test your website pages using the ‘Fetch as Google’ feature in GSC. Enter the URL of a page from your site to see how Googlebot scrolls through your page and what it missed. How can you optimise your site for UX signals? Today, SEO is all about optimising your site to the needs of your users, rather than playing around with meta-tags. It’s all about how you create a website that’s fast and comfortable for your audience. According to Google, a mobile user-friendly page should open in less than a second. This might seem a bit insane, but Google’s PageSpeed Insight tool can help you with that. Enter your page URL and the tool will let you know how fast your website loads on a smartphone. You’ll also get recommendations on how to improve your page loading speed. Is your site mobile optimised, but the content is too small to see comfortably? What if your audience has to pinch and zoom to read your mobile content? Well, basically it means bad SEO. Choose a font that is easy to read (at least 14px font), and make sure there is enough contrast between the text and the background. Use short paragraphs with line-lengths of up to 50-60 characters. Use HTML5 instead of Flash for your video or animated contents. It’s as simple as it sounds. Using Flash to load your video or animated contents won’t work on your smartphone. Instead use HTML5 to code. If you’re using a responsive design for your website, don’t forget the viewport meta tag. The tag helps your website to optimise its size based on the user’s device. Without a viewport meta tag, your site can look funky and confusing for a mobile user. *An example of viewport tag code. Make the header image smaller or avoid using header images while optimising your site for mobile devices. Negative spaces are the empty spaces between texts, buttons, and design elements. Increasing the negative space declutters your site and makes it easier for the user to understand your business. A cluttered website might work on a desktop, but on a phone, it will be impossible to navigate.